Our UniClic® bamboo flooring products are carefully selected and quality controlled by experienced floor experts. We bring these beautiful, high-quality bamboo products to Australia. All products are manufactured to the highest international standards using machinery, finishes and glues imported from Europe. All of bamboo flooring in Australia are imported from China. Our bamboo manufacturer is one of the top three manufacturers there and they are the only bamboo flooring manufacturer in the stock market. We are not source the cheap bamboo from small or medium manufacturers. We only bring the high quality. 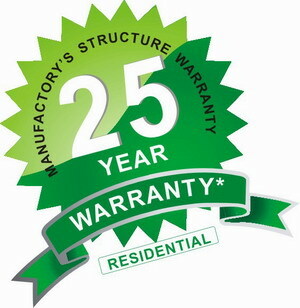 All our UniClic® bamboo floors have a 25-year Manufacturer’s Limited Structure Warranty* for Residential applications. 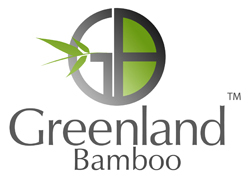 – We work with one of the top three, world-class bamboo manufacturers. Our manufacturer has decades of experience and quality controls every process from harvest, raw bamboo pressing, cutting, sanding, to polishing and coating. – 7- coats UV-Cured Polyurethane with Aluminium Oxide Standard Finish by German manufactured Treffert© or Klumpp. – We are the product’s direct importer. Our prices are competitive and affordable compared with either expensive timber flooring or other similar-quality bamboo flooring. – Our professional bamboo floor installation teams are all qualified bamboo floor installers with many years experience. Please visit our Bamboo Floor Gallery to check some of our finished bamboo flooring projects. These photos tell the story better than hundreds of words. And you can see for yourself why we have such great feedback from thousands of happy customers. – Strand-woven bamboo rates well against the hardest of hardwoods. Janka hardness is 15kN – about 73% tougher than West Australian Jarrah – and about three times harder than Tasmanian Oak. – Termites eat woods. But bamboo is naturally termite retardant because it’s a giant grass. It’s excellent for use in building construction. – Our bamboo has even been tested by the Australian Wool Testing Authority Ltd for its Reaction to Fire (under Australian Standard ASISO 9239.1). The tests showed that Kingswell Bamboo Flooring qualifies under the strict Australian commercial building requirements. – High UV resistance protects the floors from fading, scuffing, fire, chemical stains and indentation. – Bamboo is environmentally friendly. Bamboos produce 30% more oxygen but emit 30% less carbon dioxide than woods growing in the same surface area. – Our manufacturer is a member of both the World Wildlife Fund and the Global Forest & Trade Network. – Bamboo flooring is a rapidly-growing, renewable resource. It grows about 3 feet daily and can mature in 5-6 years, although most trees need 60-70 years. – All floors are sealed and glued with non-toxic glues and are allergy free. No glue is needed for UniClic® bamboo installation. Please visit our bamboo flooring page.